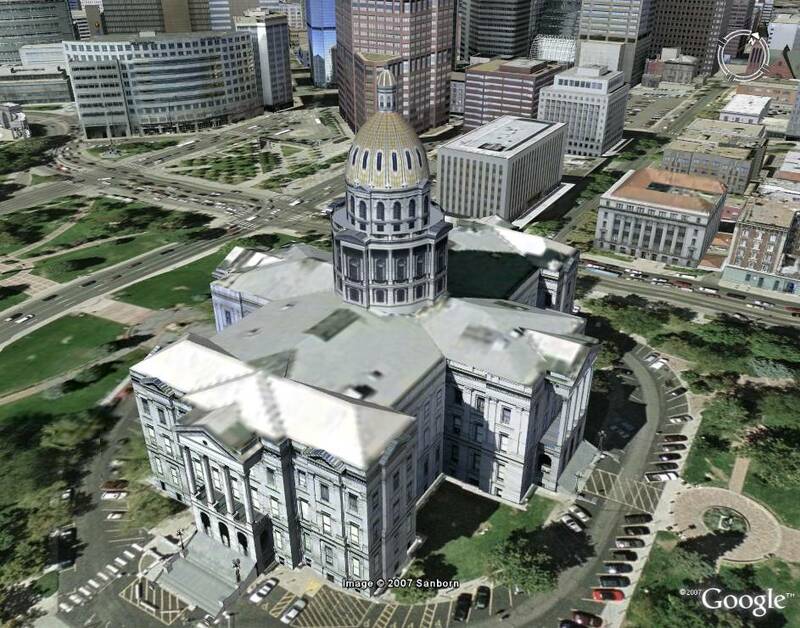 Google has announced a formalized program to help cities who would like to organize a project to have their cities put into Google Earth in 3D. There have already been many cities (especially in Germany) who have taken it upon themselves to develop 3D models of their cities and coordinate with Google to put their models into Google Earth. See for example: Dresden, Hamburg, Westport (Ireland), Las Vegas, and Beaver Creek (Colorado). When GE was first released by Google, they included over 30 cities in US with plain grey buildings. Then when Google Earth 4 was released with photo texture capabilities, Google built some sample cities like Boulder and Denver, Colorado with the new capabilities, hoping more cities would be added by others, and encouraged people to submit their own buildings. Google’s new web site to encourage city managers to participate in the 3D cities program points out that the resulting data can easily be shared for urban planning, real estate development, tourism, and more. Google will, of course, encourage the use of Google SketchUp for the model building. Google will also assist to make sure the cities build the models with the right criteria to make sure they get included in Google Earth’s layers. 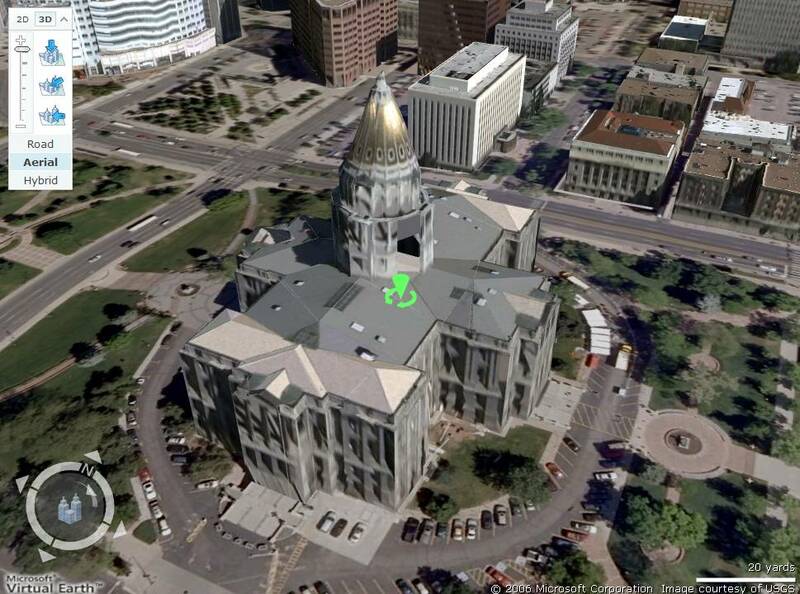 By the way, I think having at least your most significant buildings added to Google Earth in 3D is a very good idea. It helps give potential visitors a better perspective of your city and gives you an opportunity to entice more tourism and business. Google Earth is by far the most popular 3D geo browser on the planet, so its important to use this avenue to market your city. While Google is trying to get cities to develop 3D models of their buildings themselves, Microsoft has taken a different approach. Microsoft has been investing millions of dollars to have all new custom aerial photography of cities all over the world. In addition to the normal straight-down aerial imagery, they also fly their planes in a grid pattern and take photos at 45 degree (oblique) angles such that they get images in four different directions of all buildings in a city. These are the Bird’s Eye Views you can see in Virtual Earth. These images are also used to automatically generate 3D buildings. And so, Microsoft Virtual Earth already has dozens of cities already modeled in 3D (see the 20 or so just released in February for example). While the fidelity (resolution) of the 3D data may not be as high in VE as building the models by hand, the number of buildings modeled is quite high – and it takes a lot fewer people to do the work. Virtual Earth is not nearly as popular – so there are much fewer people who are likely to browse your city with it. But, to get your entire city modeled for free is a good deal. And, as Microsoft gets more and more cities modeled, and enhances their interfaces, the popularity of the application will go up. Last spring I wrote a comparison between Virtual Earth and Google Earth – especially as it relates to the 3D buildings. It is not correct in this post that Virtual Earth uses Birds Eye imagery to produce 3D. Revise this information. I think they are using 2D imagery and a patented system by Vexcel. If you look in the 3d warehouse, there are a lot of 3d buildings you never see in Google Earth. I dont know what the policy of Google is regarding the 3d building layer, but if they just use the buildings that are there , the cities would contain a lot more building then they are now! I think Google ought to revisit their model around 3D buildings. This could seriously impact their market share long term.